I’m not the only one noticing google’s search results are becoming less.. I’ve discussed this with several people in the past months, they noticed too that they need to dig further down the list of results to get relevant information. I’m also noticing that my blog increasingly attracts weird traffic from search engines (possibly not only google, but I can’t drill down in the stats yet). 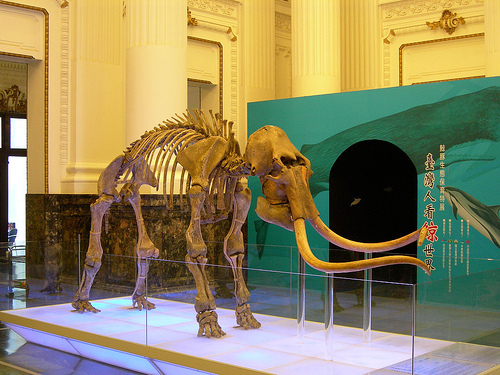 On a related note, Nynke hopes to save Woolly Multinational Mammoths from extinctinction. This entry was posted on Thursday, June 22nd, 2006 at 5:20 pm	and is filed under people & systems. You can follow any responses to this entry through the RSS 2.0 feed. Both comments and pings are currently closed.